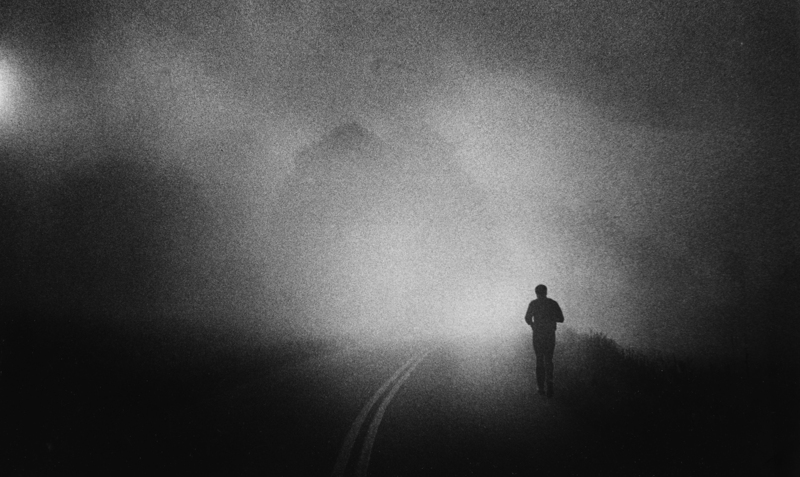 Muhammad Ali takes his daily three-mile run along a Pennsylvania country road shrouded in early morning fog near his Deer Lake training camp in 1978. 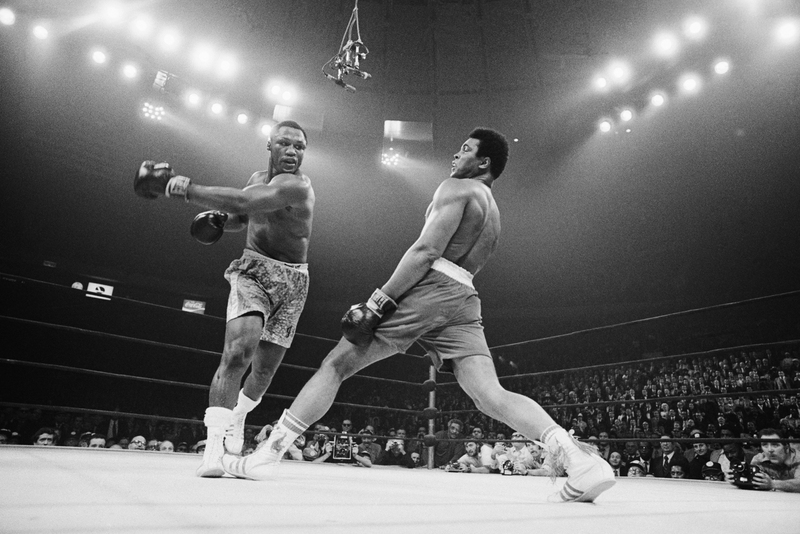 Boxer Muhammad Ali steps away from a punch thrown by boxer Joe Frazier during their heavyweight title fight at Madison Square Garden in 1971. 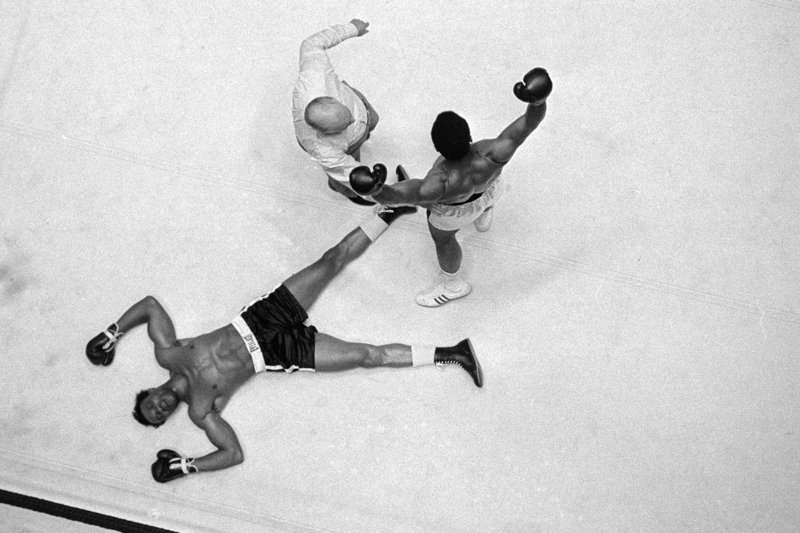 Frazier became the undisputed heavyweight champ of the world by winning a unanimous 15-round decision. 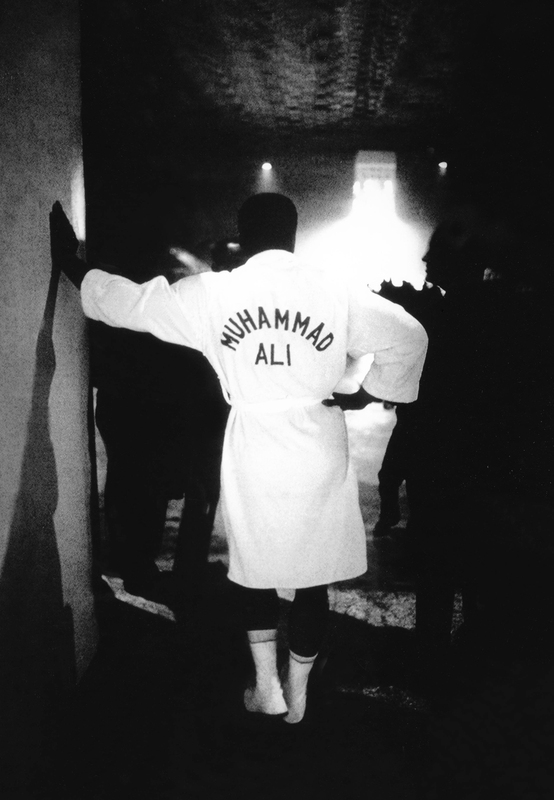 Cassius Clay aka Muhammad Ali waits in the tunnel prior to a match. 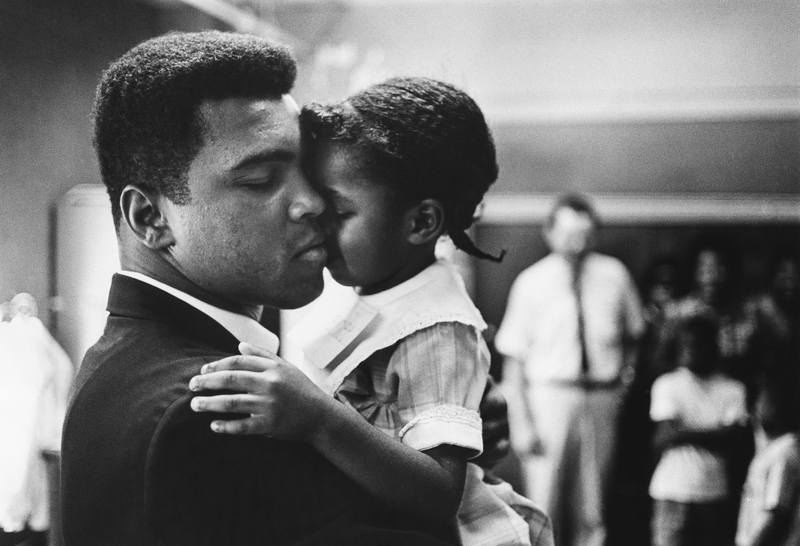 Cassius Clay aka Muhammad Ali holds a young girl while he visits a school in 1966. 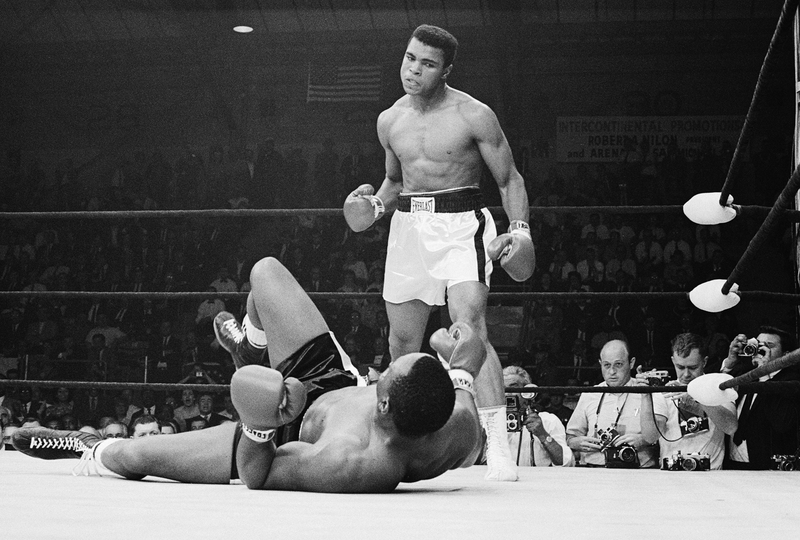 Boxer Muhammad Ali stands over boxer Sonny Liston after knocking him down during the first round of their match. 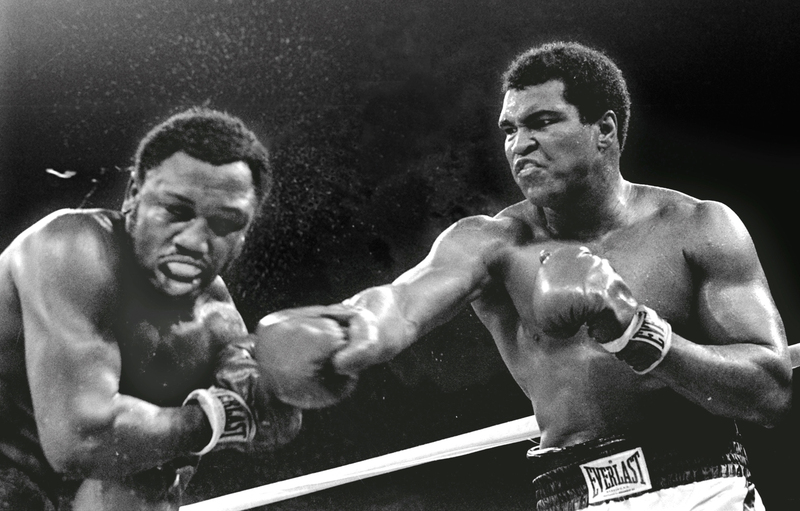 Clay won the May 25, 1965 fight and retained his title as heavyweight champion. 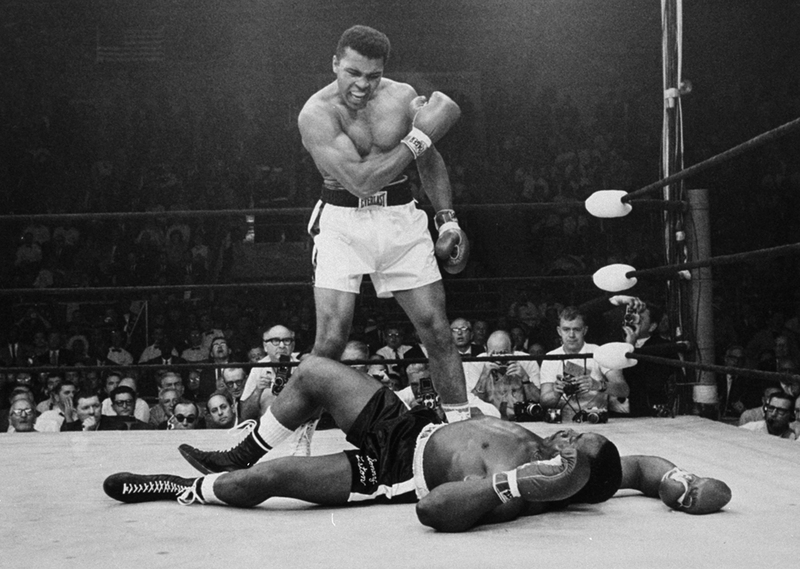 "I'm the champ!" 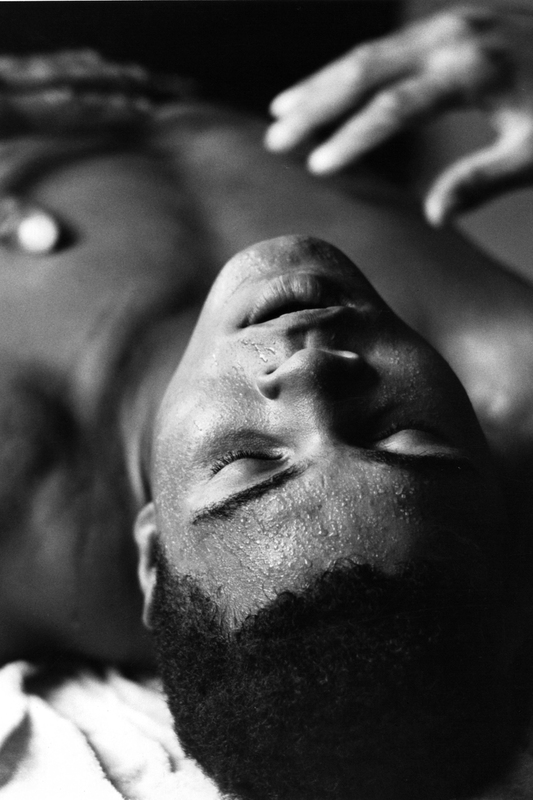 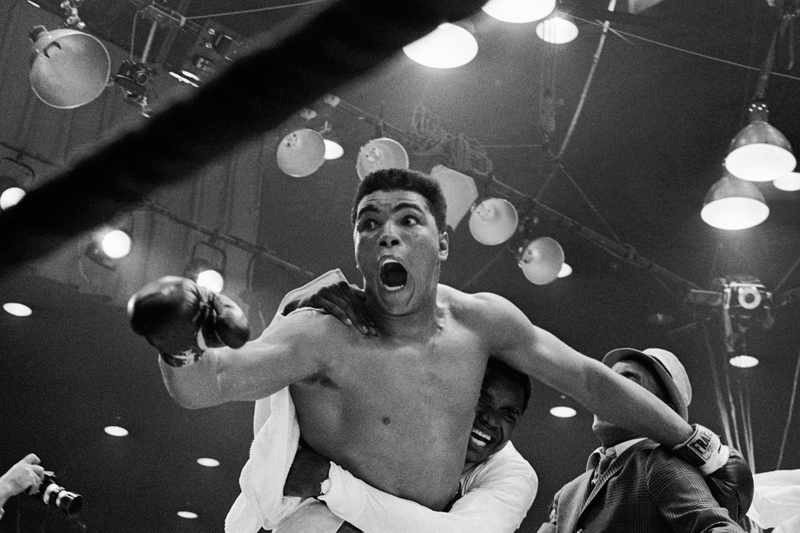 screams Cassius Clay as his handlers hug him joyfully after he defeated Sonny Liston for the heavyweight boxing title. 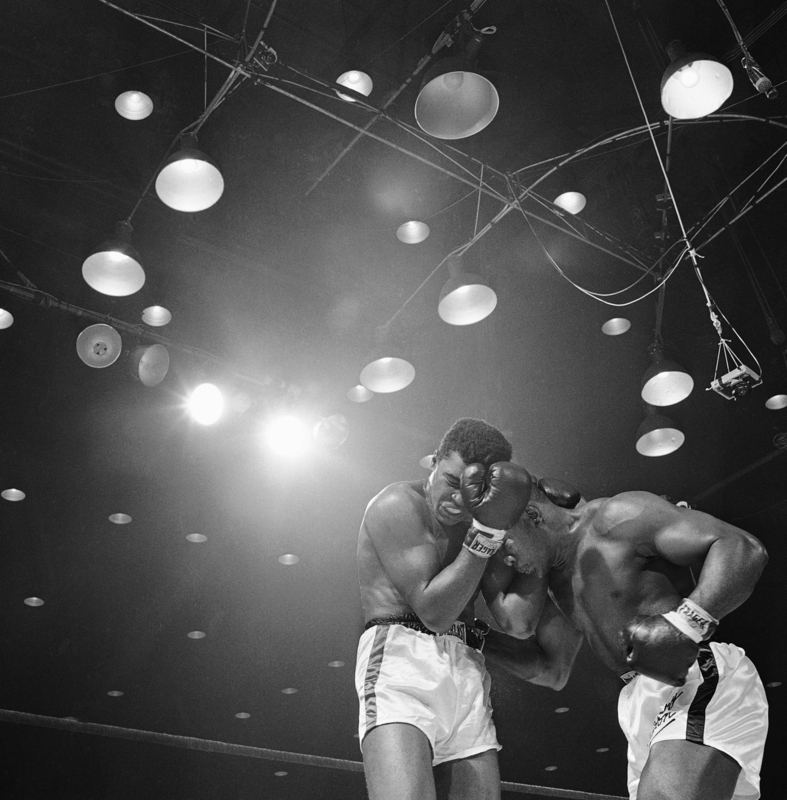 Clay was credited with a 7th round TKO when Liston was unable to answer the bell because of a shoulder injury suffered in the first round. 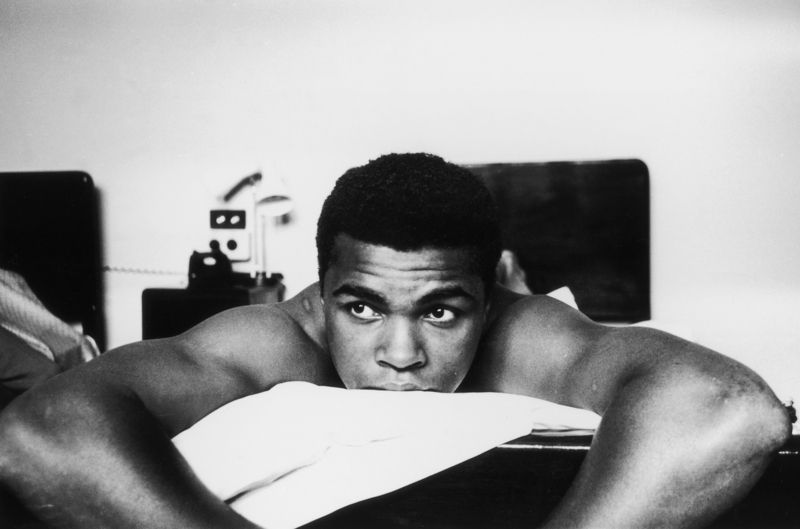 American Heavyweight boxer, Cassius Clay (later Muhammad Ali), relaxing on his hotel bed in London. 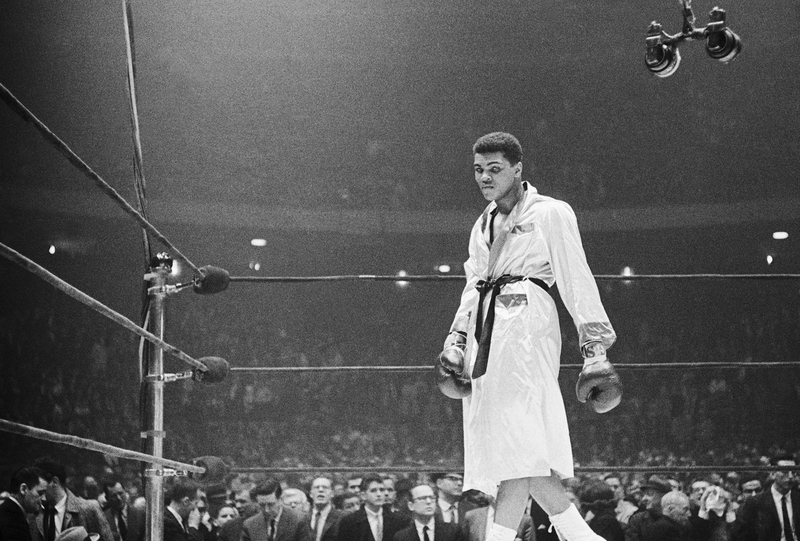 US boxing heavyweight champion Muhammad Ali (L) (born Cassius Clay) 11 days before the heavy weight world championship in Kinshasa. 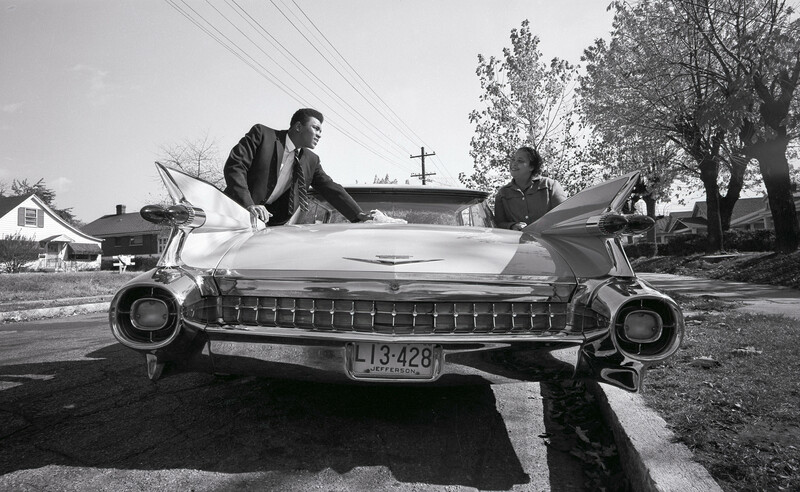 Cassius Clay aka Muhammad Ali (left) shows off a new pink Cadillac to his mother Odessa Clay (right). 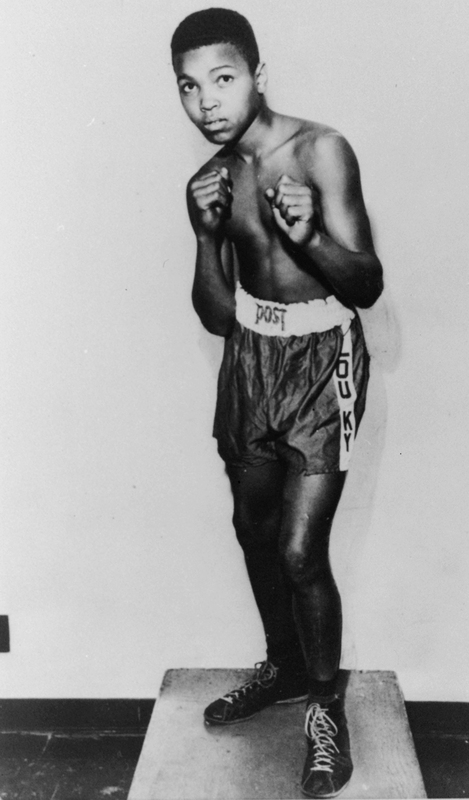 He bought the automobile for his parents following his first professional fight. 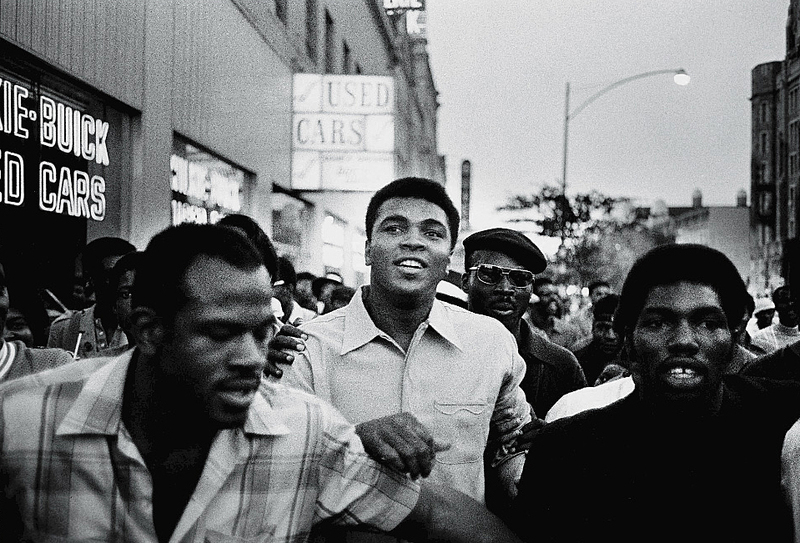 American heavyweight boxing champion Muhammad Ali walks through the streets with members of the Black Panther Party, New York, New York, September 1970. 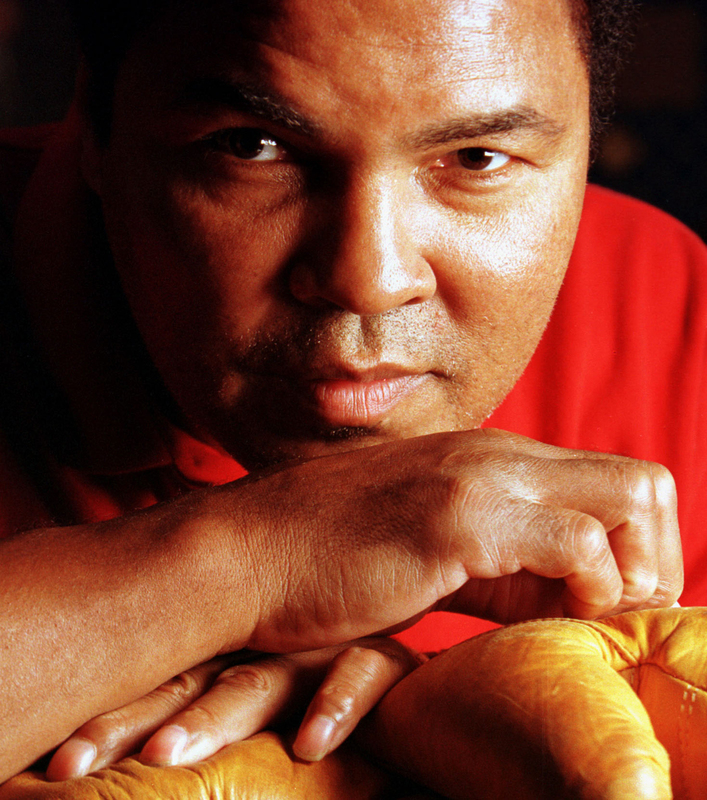 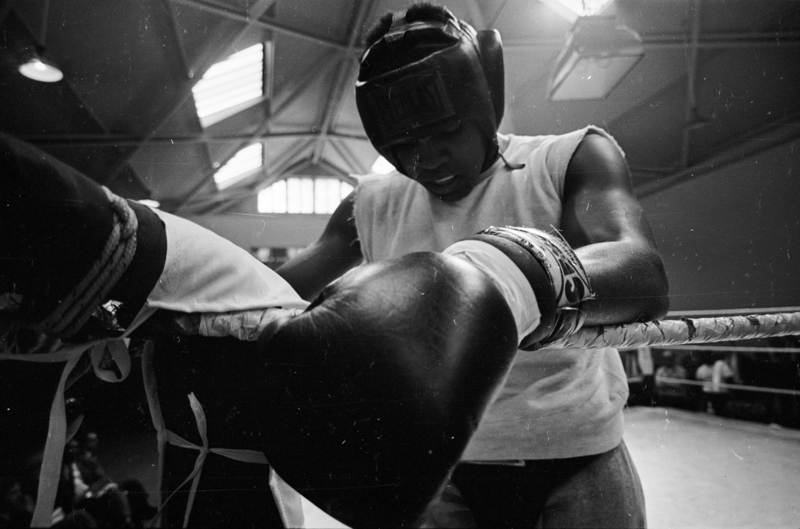 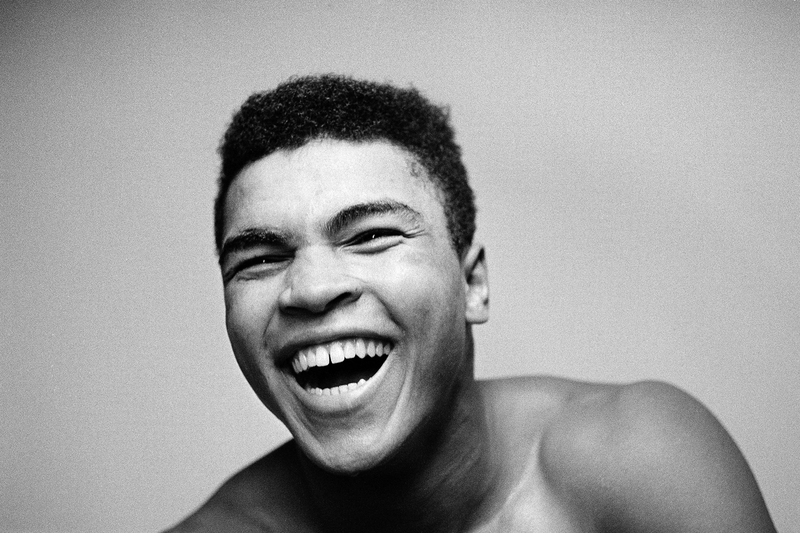 Ali was sentenced to five years in prison and his championship title revoked after he was convicted of draft evasion upon his refusal to serve with the American army in Vietnam upon grounds of conscientious objection. 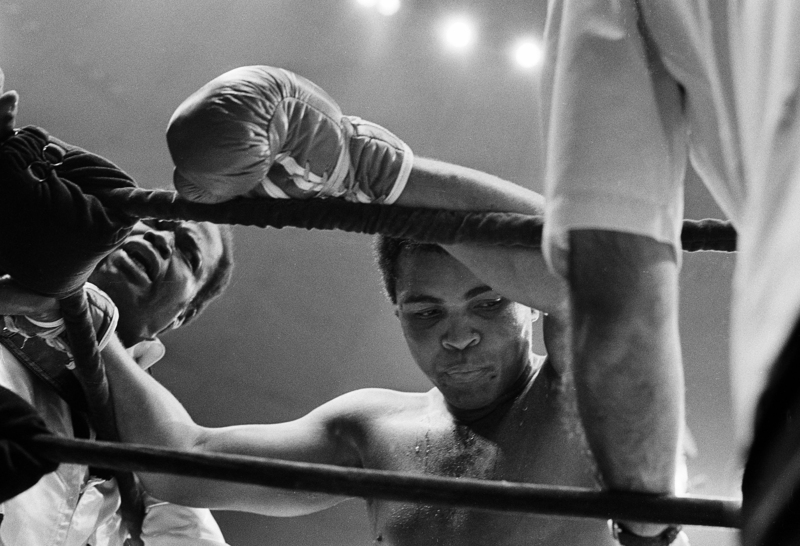 The decision was overtuned in 1971 but Ali became a figurehead of resistance and a hero of the people. 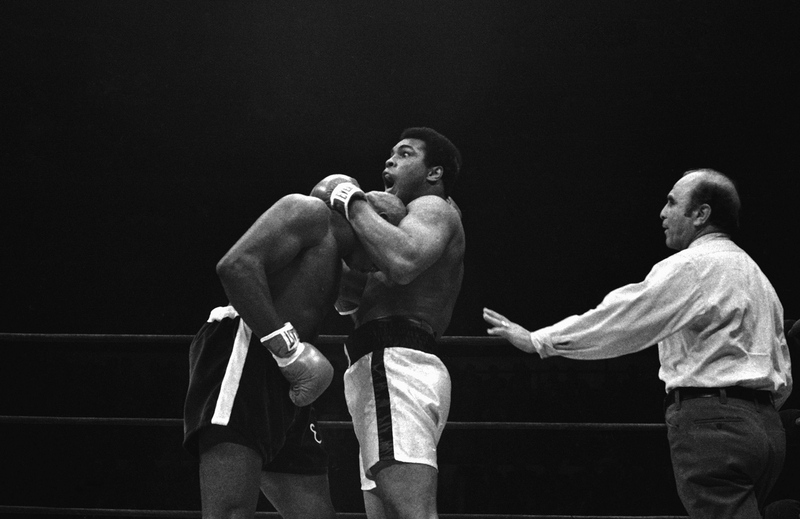 Ever the clown, heavyweight champion Muhammad Ali makes a face while clinching Earnie Shavers during their bout at Madison Square Garden September 29. 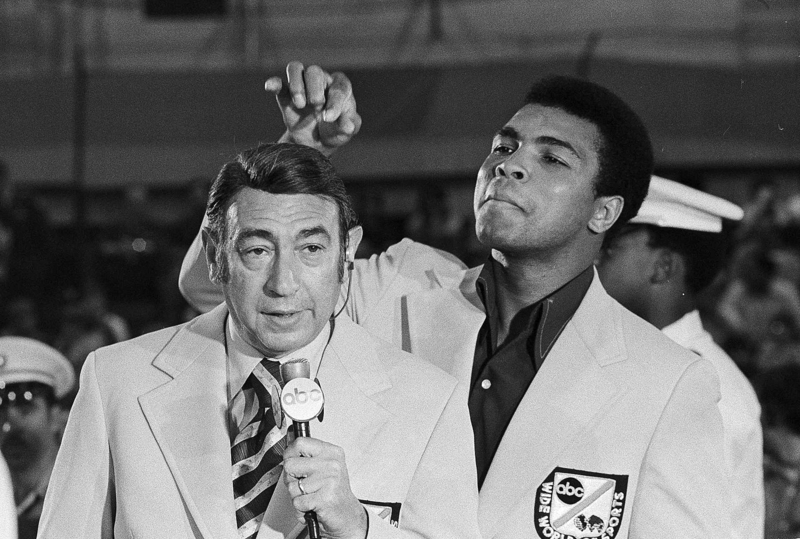 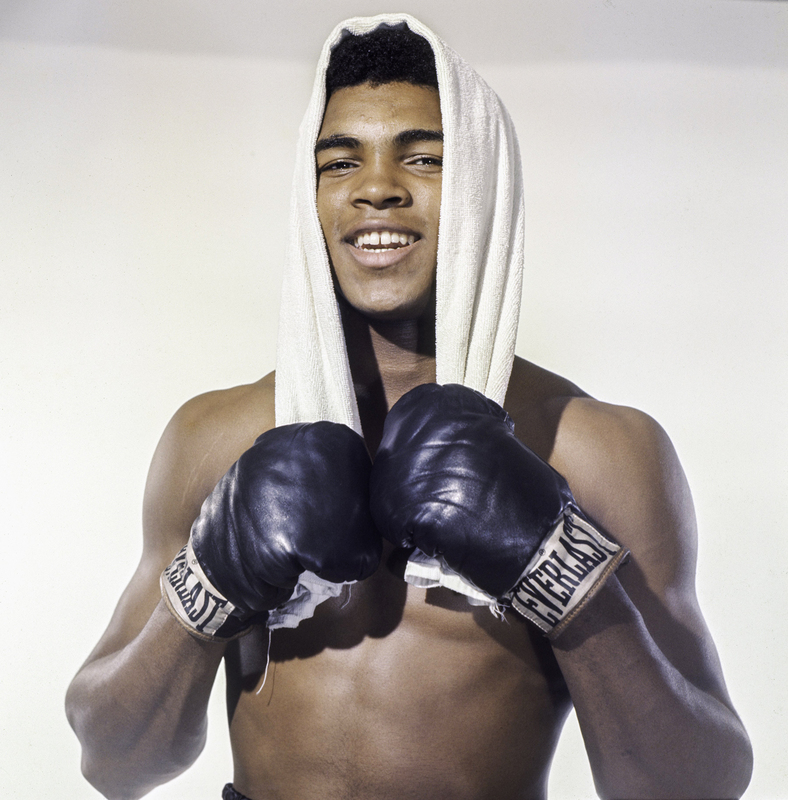 Ali won the 15-round decision unanimously retaining his world heavyweight title. 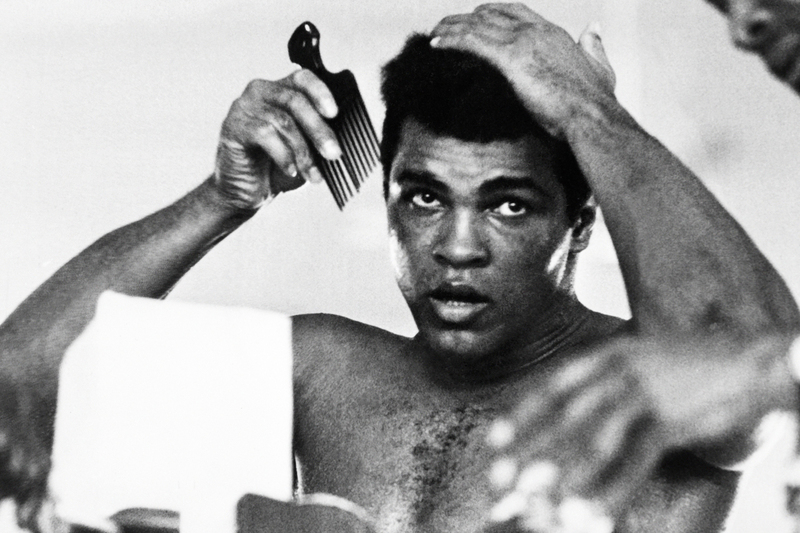 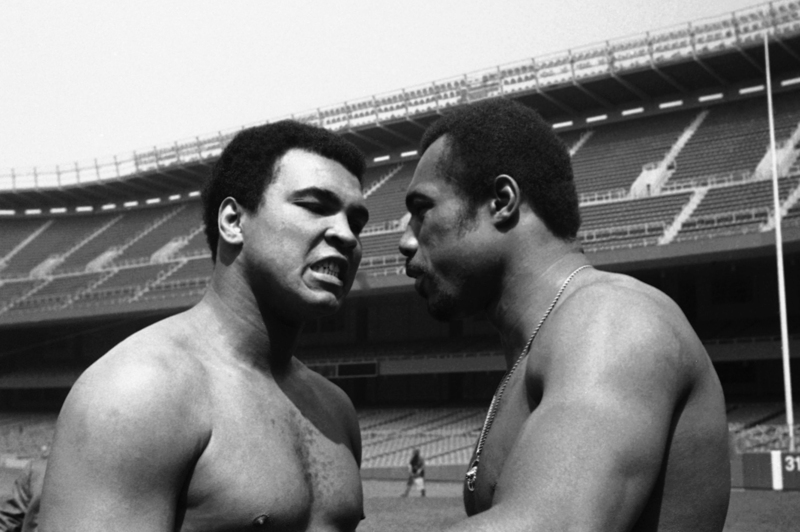 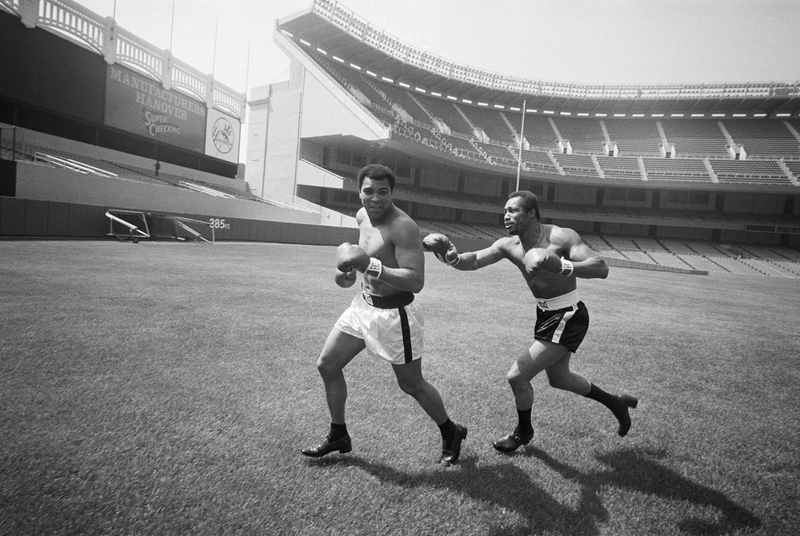 There were no knockdowns, although Ali was shaken several times by hard right hand punches of Shavers. 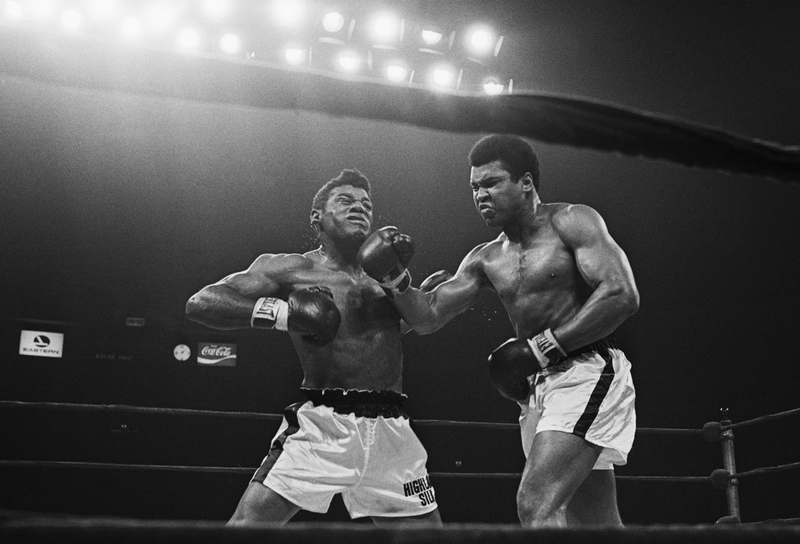 Muhammad Ali (R) lands a punch right on the button during the sixth round of his bout with Floyd Patterson at Madison Square Garden. 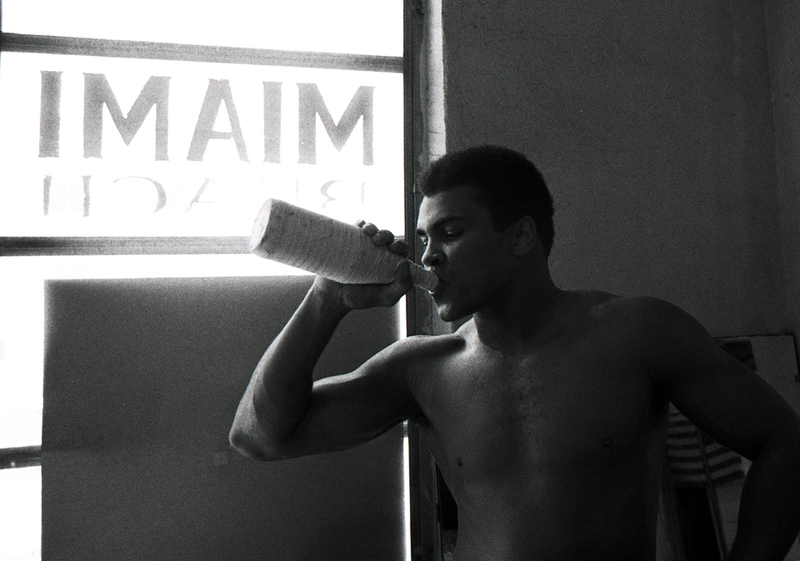 Muhammad Ali takes a drink as he trains at the 5th Street Gym in Miami Beach for his world heavyweight title bout with Joe Frazier (not pictured). 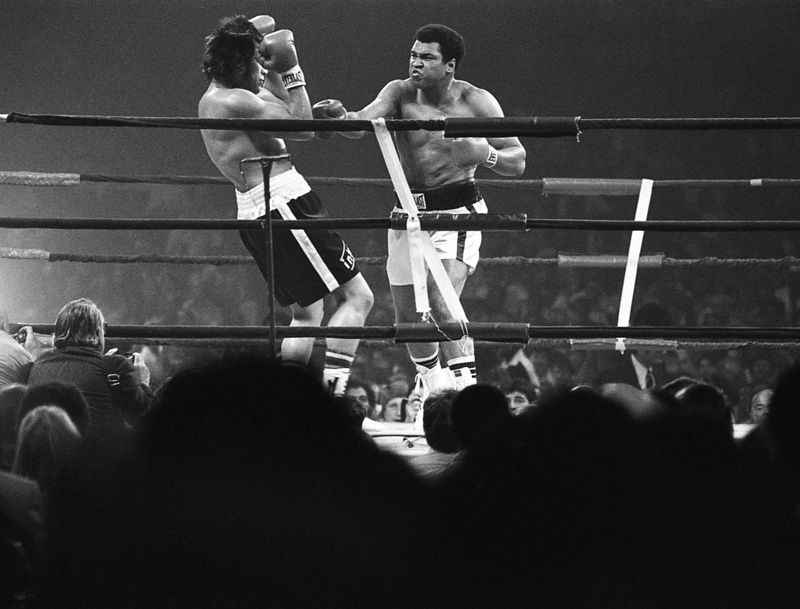 American boxer Muhammad Ali (born Cassius Marcellus Clay Jr) (in light-colored shorts) fights Uruguayan Alfredo Evangelista in a Heavyweight Championship bout at the Capital Centre, Landover, Maryland, USA, May 16, 1977.